Employing the latest technologies to develop and maintain highly innovative, easy to use, smart digital and AI solutions to expand the horizons of success of our partners. At NetAnalytiks, we constantly strive to enable our customers to stay ahead of the competition and technology trends with world class industry-specific solutions, packaged software implementations and innovative ideas, thereby contributing to their continued growth and progress. At NetAnalytiks technologies, we value relationships. We specialize in best-in-class technoloies, develop and maintain innovative solutions, adapt to the latest processes in delivering software services of the highest quality and, constantly seek to increase the productivity and profitability of our partners, while striving to reduce the cost and the delivery timelines. Our leadership has nearly eight decades of combined experience in the information technology business and this has helped us grow into a nimble and mature IT product house, service provider and a solutions innovator. We have the distinction of serving multiple SMEs and fortune 500 companies. As a strategic partner and a niche IT services provider, we are committed to long-term success of our customers. Our focus on relentless innovation and expertise building has meant that our clients are ensured of the most efficient service. We work in an agile, nimble and flexible manner with focus on delivery quality and end-to-end customer satisfaction. Our portfolio of services encompasses application development & maintenance, product engineering services, independent testing, customization and implementation of financial services software. We also are engaged in value creation through new age digital technologies such as mobility, Robotics Process Automation (RPA), blockchain, AI and predictive analytics. We take pride in the fact that we don’t have any Centers of Excellence (CoE) as the entire organization operates as a CoE. 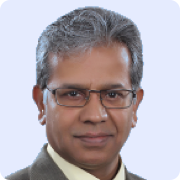 Dr. Shankara Chilkunda, holds M.Tech & Ph.D. degrees in Aerospace Engineering from IIT Kanpur, and BE in Civil Engineering from Bangalore University. An avid and a passionate innovator at heart, Dr Chilkunda has been the inspiration and the motive force behind the realization of nearly half a dozen fully functional and innovative products. A life-long student, his current foray is into Machine Learning and NLP through which he wishes to contribute to the field of education. Dr. Chilkunda started his career in the Defence Ministry of India as a Scientist, as part of a team of many esteemed Scientists and Engineers to develop the first Light Combat Aircraft (LCA). A globe-trotting passion took him to the USA, where his exploratory mind took up the challenge of consulting for ERP (PeopleSoft) almost 6 years. Back in India, he joined Wipro for a couple of years. Returning to his original area of expertise, he then joined Honeywell which would later become his long term home, for almost a decade. At companies like Wipro, Honeywell and TCS, Dr. Chilkunda explored the limits of the challenges of IT delivery and outsourcing in multiple solutions, applications and infrastructure. With the combined experience of over three decades, it was time for Dr. Chilkunda to co-found NetAnalytiks which quickly took shape into becoming the product and service company that it is today. Lakshminarayana Ullala (Laks) has a Master’s degree in Computer Science from NIT Surathkal and a Bachelor’s degree in Computer Science from Mysore University. Laks is a firm believer in the motto of "Don't Say No, Say How?". 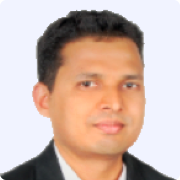 His curiosity in various IT paradigms has meant that he has rich and varied professional experience of nearly two decades, in Enterprise Security and IT processes and delivery management. 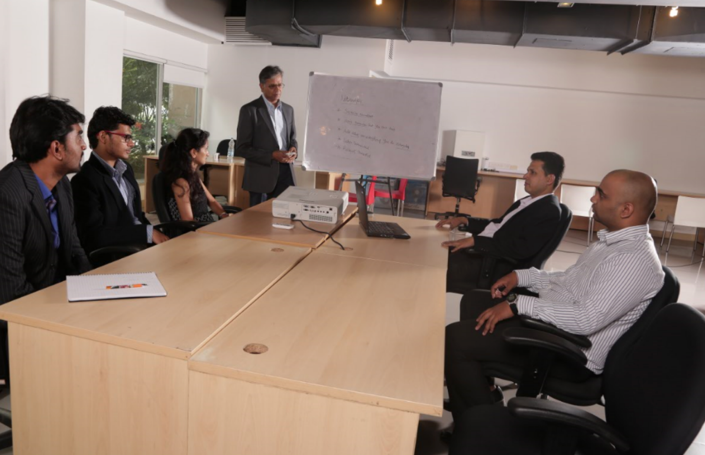 Laks has worked in major MNCs in Product Development, Enterprise Security, Project Management, Delivery Management and Business Development functions in domains ranging from Banking, Finance, Insurance to Retail. He started his career at Novell and then, moved to EMC2. Wipro, Accenture and ANZ in Enterprise Security Solutions consulting and delivery practices. During this time, he travelled extensively to US, UK and Australia on various work assignments, which has given a solid grounding in the multi-cultural work environments that has contributed to his understading of the Enterprise Security landscape world over. Ravishankar Ramanath (Ravi) has a Bachelor's degree from the University of Mysore and has more than two decades of experience in the IT industry. Ravi has spent about a decade of his professional life in the US, and he has wide experience in the service and product companies such as Infosys, Accenture, Oracle and NTT Data. 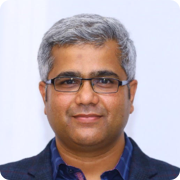 Ravi's areas of expertise includes multiple domains that include Banking and Finance, Retail, Healthcare, Telecom and Product development.